EN- April 2019 - UOttawa civil engineering students presented their concept for a retrofit of the Prince of Wales Bridge, under supervision by Wojciech Remisz P.Eng., Co-Founder and Director of Moose Consortium Inc.
FR - Avril 2019 - Les étudiants en génie civil d'UOttawa ont présenté leur concept de rénovation du pont Prince de Galles, sous la supervision de Wojciech Remisz, ing. pro., cofondateur et directeur du Consortium Moose inc.
Federal Minister of Natural Resources "will review how Prince of Wales Bridge is represented in our most recent series of topographic products" (Read the letter from 11 April, 2019). EN - February 2019 - Landor - Rail Station & Property Summit. Moose on keynote panel "New frameworks for investment"
EN - February 2019 - TransportXtra - Rail-Powered Property - Property-Powered Rail: a transformational approach? Communiqué de presse - Douze étudiants en génie civil d’UOttawa vont développer le concept de réhabilitation du pont Prince de Galles et le système de gares temporaires modulaires de MOOSE sur les voies ferrées interprovinciales de la RCN. Candidate Clive Doucet's "Capital Regional Rail" jives with MOOSE's plan! "Outside of real estate, LeMine’s other undelivered promises include a billion-dollar trade deal to send Canadian canola to China and a commitment to invest in a private rail project in Ottawa. ... The director of the Ottawa rail project said he and his staff declined to work with Liu after reviewing his company." - L’organisme de réglementation fédéral émet une ordonnance d’exécution de sa décision de 2012. EN - February 2018 - Ottawa Sun - Editorial: A bridge too far gone? The 8 September 2017 letter sent by Rick O'Connor, City Clerk and Solicitor for the City of Ottawa, to the Canadian Transportation Agency, in response to the Agency's email of August 14, 2017. For clarity we'll provide some written comments below, and in follow-up we'll be pleased to answer any additional questions. From our perspective, the most important statements in these documents are those which set the stage for the City of Ottawa's collaboration in the planned engineering design, feasibility and cost estimates study on metropolitan-scale inter-provincial passenger rail service for the region, and in the financial design, feasibility and revenue estimates study of the Property-Powered Rail Open Market Development Model. "If another agency or organization were to decide to provide train service from Gatineau to Bayview Station, the City anticipates working in a coordinated and consultative manner with that agency or organization to provide access to the railway line on the Prince of Wales Bridge and to potentially make further appropriate infrastructure modifications. This would be dependent on the exact plans and availability of funding from that agency or organization." "There are many variables that will ultimately determine actual timelines, including the scope, nature and timing of the Third Party RO's [railway operator's] infrastructure development and operating plans. This includes the state of completeness of these plans (e.g. engineering detail, special requirements, available funding, required coordination with City plans, required or desired stakeholder consultations and other matters)." Once we run this full package by the investment syndicators, and accommodate their feedback, we'll announce which companies will lead the work, and we'll publicly share the details. At that time MOOSE consortium will formalize its discussions with the Algonquin Anishinabeg National Tribal Council, the federal government organizations (the National Capital Commission, the Canadian Transportation Agency, Rail Safety Operations at Transport Canada, Heritage Canada, and others), as well as various entities of the two provinces and 16 municipalities. We're sorry that we can't be precise about dates, as these involve negotiation and coordination about precise commitments amongst multiple firms. However this is moving very quickly. MOOSE first met with City of Ottawa's Pat Scrimgeour and Dennis Gratton on 16 December 2011, prior to creating the Consortium. The purpose of that meeting was to invite the City's Capital Railway to be the train operator for the line between Smiths Falls and La Peche. At that time MOOSE also met with executives of the Société de transport de l'Outaouais (STO) to invite them to be the train operator on the line between Montbello and Arnprior. Municipally-owned trains can operate across boundaries just as OC-Traspo and STO buses do, so long as dispatch is coordinated. "If another agency or organization were to decide to pursue the provision of train service from Gatineau through Bayview Station and continuing onto the track used for the 0-Train Trillium Line service, then much more discussion, coordinated work, and committed funding would be required". MOOSE Consortium looks forward to picking up that discussion again with the City of Ottawa by renewing the invitation for Capital Railway to operate the O-Train inter-provincially as an integral participant in the Consortium. The letter of 8 September correctly states that "committed funding would be required to increase the track capacity south of Bayview Station to a level above that which is currently planned and funded for the Stage 2 projects". This will indeed be addressed as part of the forthcoming engineering design, feasibility and cost estimates study. "The City currently estimates that for City restored or expanded rail transit purposes between the south end of the PoW Bridge and Bayview Station, it could take approximately two (2) years to fully develop alignment design plans, complete all related engineering designs and adopted technical standards, complete the procurement of all equipment and services, complete required environmental assessments, carry out appropriate stakeholder consultations and complete all physical work." The 8 September 2017 memo to Mayor and Council states that "staff have had a design prepared for the future alignment of the track extension from Bayview Station to the south end of the Prince of Wales Bridge", acknowledging that "the original main north-south line is obstructed by the ground level of the new station building at Bayview Station". But Mr. Manconi's suggested design which would send all trains to the track east of the station is physically unworkable without major changes to the brand new station. The problem is that the Bayview spur used as the terminus of the O-Train was constructed with a grade, so that the distance between the top of the track and bottom of the Albert Street and OLRT bridges is significantly less than the 22 feet required in Transport Canada's "Standards Respecting Railway Clearances" (diagram 2, page 6). That's to say, due to the City's design decisions, typical North American style passenger or freight trains cannot get through, meaning that trains such as used for the GO-Train in Toronto or AMT in Montreal cannot service the new Bayview Station. Up until summer 2016, such equipment was easily accommodated on the original track. “Given that the dismantlement and obstruction of the continuous line of pre-existing railway was neither necessary nor authorized, the Agency is asked to order the City of Ottawa to cover all of Moose Consortium's reasonable costs involved in reconnecting the continuous line of railway with a bypass to the west of the new Bayview Station. Project funds would be advanced by the City of Ottawa to a special purpose trust account, so that costs will be promptly reimbursable to Moose on a monthly basis until the bypass project is completed." "Moose has drafted, and is proposing an operational solution that leaves the City of Ottawa's current Bayview Station design exactly as it is, and introduces no significant interference with the current construction timeline of the OLRT Project." 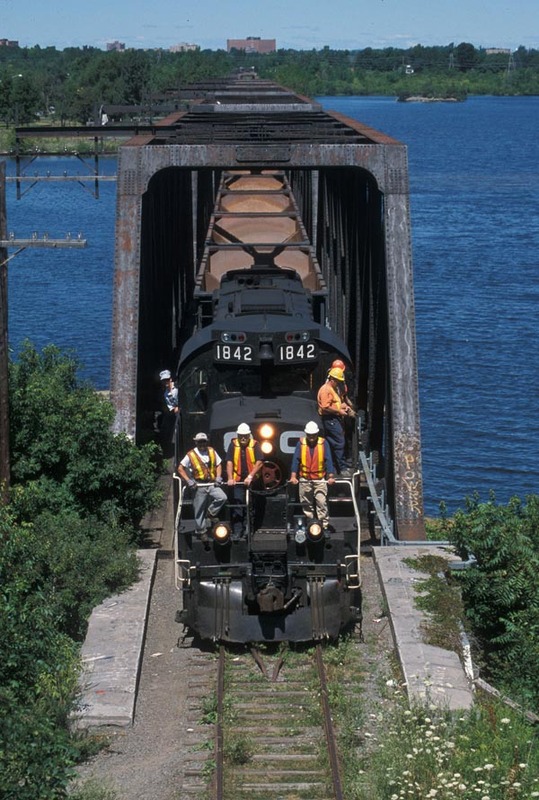 “Moose commits to pay the City of Ottawa full commercial lease rates for use of this section of this railway once the consortium's interprovincial passenger operations commence, unless other arrangements are mutually agreed to by the parties." "Initially 100% of the lease fees that the City would have received from MOOSE Consortium would be paid “in-kind” by the Consortium in the form of enhancements to City-owned railway infrastructure. This arrangement would continue until the cumulative value of the in-kind fees is equal to the audited cumulative cost of the improvements and maintenance work that MOOSE Consortium has carried out, including all directly related project design, management, financing, construction, maintenance and administration costs, and any compensation that the Consortium pays to mitigate or offset disruption to other stakeholders. Under this arrangement, the City of Ottawa bears no infrastructure cost or capital project risk, but it ends up with improved, fully-operational infrastructure, and eventually, a new sustainable revenue stream in cash form once the Consortium’s financing is amortized. The sooner MOOSE Consortium pays off the financing of these upgrades, the sooner the City will receive cash payments for full running rights on its tracks, subject to any terms and conditions that would be commercially fair and reasonable to the parties. This is a win-win, because this arrangement involves no net financial cost to the Consortium. From the beginning it would be paying its commercial financiers what it would have paid in lease fees for running rights on upgraded track at full market rates. Meanwhile, once these tracks become operational, any other new railway services (e.g. freight companies that may want to operate outside the hours of MOOSE Consortium passenger service) would pay lease fees to the City of Ottawa as the owner of the upgraded track, beyond what MOOSE pays the City." "The City's Transportation Master Plan (TMP), adopted in 2013, shows the extension of the 0- Train Trillium Line north into Gatineau as part of the City's plans, with a planned construction date after 2031." He should also have mentioned that the 2013 "Interprovincial Transit Strategy for Canada's Capital Region", which was co-authored by staff and consultants for the City of Ottawa, City of Gatineau and the NCC, describes the need for "an O-Train extension to Hull via the Prince of Wales Bridge" by 2018 (pages 51, 75 and 82). This is also the early timeline that MOOSE Consortium is attempting to maintain. MOOSE Consortium's terms of reference for the engineering and financial work to be advanced in the coming months are explicit in the objective of getting initial trains operating on that bridge before the end of 2018. "to restore the PoW Bridge and rail infrastructure on the bridge to an operating condition, to support possible rail service by a licensed third party railway operator who may be granted running rights by the Agency or by the City (the "Third Party RO") on all or some portion of the ORL." "it could take approximately three (3) years to plan, procure and complete the restoration of the PoW Bridge and the rail infrastructure on the bridge to an operating condition"
Mr. Manconi's letter to Mayor and Council states that: "Since the acquisition of the line and bridge in 2005-06, the City has been maintaining the bridge to keep it in a safe condition". (For reference about that purchase, we attach a copy of the transfer agreement "for continued railway operations".) Readers can judge that statement for themselves: http://spacing.ca/ottawa/2016/07/09/moment-prince-wales-park/ MOOSE looks forward to having its feasibility study contractors review the "Bridge Safety Management Program (BSMP)" that the City will have been maintaining throughout the past dozen years for the Prince of Wales Bridge. Overall, the letter and memo of 8 September 2017 reflect an apparent assumption that the City's obligation to reconnect the railway, and to maintain the Prince of Wales Bridge in an operational state, are contingent upon its assessment of some Third Party’s plans. However every owner of federally-regulated railway infrastructure has ongoing obligations directly under the Canada Transportation Act, and these are not contingent upon the proposals or plans of any other party. Whereas the City's letter to the Agency suggest that restoration of through-traffic capability from the Prince of Wales Bridge to the O-Trains' Trillium line "will have to be assessed on a case by case and circumstances specific basis", quite to the contrary, it is the federal regulator's prerogative to make such assessments on a case-by-case basis. 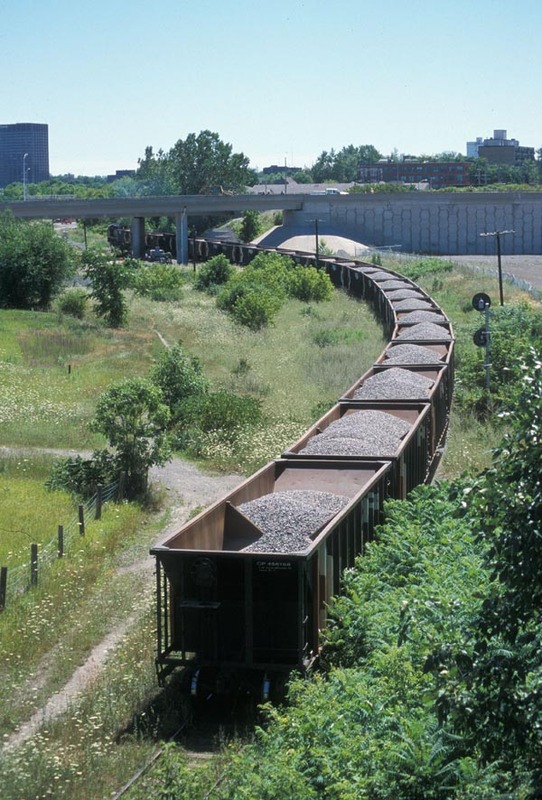 The City’s role and responsibility, as the owner of an active federal railway, is to maintain the railway in accordance with the Canada Transportation Act and the Railway Safety Act, and to promptly accommodate any other railway users in exchange for reasonable rates. EN - July 2017 - The Globe & Mail - Forget nationality: It's what foreign investors do in Canada that matters. TORONTO, CANADA. 1 JULY 2017 — LeMine Investment Group and Consortia N.A. Ltd. (LeMine-Consortia N.A.) and MOOSE Consortium Inc. exchanged letters of intent today, the 1st of July 2017, on Canada's 150th Anniversary, to create a fully private-sector 400 km metropolitan-scale passenger rail service for Canada's Greater National Capital Region. TORONTO, Canada, le 1er juillet 2017 — LeMine Investment Group et Consortia N.A. Ltd. (LeMine - Consortia N.A.) et le Consortium MOOSE inc. ont échangé des lettres d'intention aujourd'hui, en ce 1er juillet 2017, à l'occasion du 150e anniversaire du Canada, en vue de créer un service ferroviaire de passagers entièrement privé de 400 km qui desservirait la grande région de la capitale nationale du Canada. EN - June 2012 - Canadian Transportation Agency - Decision No. 210-R-2012 - COMPLAINT by Mobility Ottawa-Outaouais: Systems & Enterprises Inc. pursuant to Part III, Division V of the Canada Transportation Act, S.C., 1996, c. 10, as amended.